Custom built lodge style home, with the most beautiful views you can find anywhere. Built in two phases- 2008 & 2012 and designed by McCullough. Five bedrooms, three full and two half baths. Located on the water in 41 acres of seclusion with trees and wildlife to be viewed from several angles from each room. Entertain large groups or a private get together in the lodge room with vaulted wood ceilings and a huge custom made fireplace. also includes a large in-law suite or man cave with its own kitchen. The main kitchen is a chefs dream with custom made amish cabinets using quarter sawn white oak and quartz counter tops a huge walk in pantry. large screened porch for nature viewing and relaxing, grilling porch for the outside cooking, functional and beautiful office with a great view to the outside. three car attached garage and a one car attached garage. Six panel solid wood doors throughout, Great hunting and fishing and so much more. 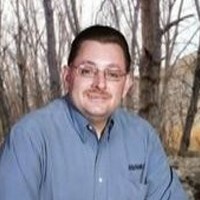 Tim Mason is Broker/Owner of RE/MAX Midwest Real Estate and Midwest Development Company. Tim has over 25 years experience in the Real Estate Industry, including Sales, Development and as a Certified General Appraiser. Tim has not only been successful in residential and commercial properties, but Tim has also had the opportunity to help many farmers expand their operations and helped several outdoorsmen find their dream hunting and fishing properties. Tim is the perfect fit for the purchase and sale of farms, recreational land and 1031 tax deferred exchanges. A few years back Tim formed a strategic alliance with one of the premiere Auction Companies in the area, expanding the services he can offer to buyers or sellers. Contact Tim today to discuss your buying, selling or auctions needs.